For all your bookish needs! I was gifted a copy of this book from the publisher via NetGalley in exchange for an honest review. I was kindly gifted this from the publisher via NetGalley in exchange for review and I'm so pleased I requested it. I was drawn in initially by the cover and then I read the synopsis and knew I had to read it. I loved the reading experience of this one, it's not perfect, but something about it really drew me in and I ended up reading it in 2 sittings. The first thing about this book that really captured my attention was the setting and the premise. 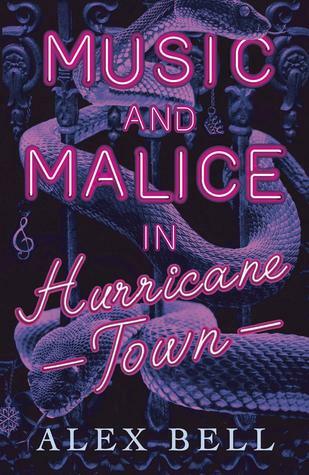 I'm a bit of a sucker for anything set in the Deep South, throw in some supernatural elements and I'm sold and that's just what was on offer in this book. The writing was really compelling, I just wanted to keep going and find out what was going to happen next. There were several twists and turns that I didn't see coming although, I did find the ending to be a bit predictable. Like I said it's not a perfect book, although I enjoyed the writing and found it very quick to read, it was a bit info dumpy at times. I don't necessarily think this bothered me a whole lot though because I was really invested in the world and wanted to know everything about it. I really liked Jude as a main character too. She was fierce, determined and independent. She was in charge of her family and, although the relationship with her father wasn't always positive, she was still determined to look out for him and make sure hes cared for. I enjoyed the side characters too, I thought Sharkey was really fun and brightened up the story a bit and I was really interested in Sophia and what she could do. I really would of liked for them to have a bit more page time. I was also really invested in The Phantoms story, I enjoyed finding out all about his family and his background. Queen Ivory was quite an interesting character too but I would of liked a bit more evilness. One thing I will say I wasn't a fan of was the relationships in this book. Jude's first relationship was very toxic and then I'm not sure what was going on between her and The Phantom but the whole age thing was a bit off putting for me, I won't say anymore as I don't want to spoil anything. Overall like I said before this book isn't perfect and I can definitely pick out the flaws however, it was so compelling and I was so engrossed in the story I can't help but give it 5 stars. I loved the premise and the setting. 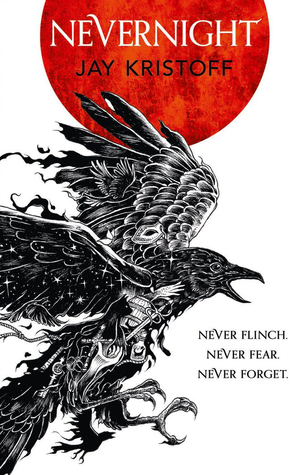 It was dark and thrilling, full of twists, turns and supernatural elements that had me wanting more. The ending was intriguing too and I really hope there's going to be a sequel. I was gifted a copy of this book by the publisher in exchange for an honest review. 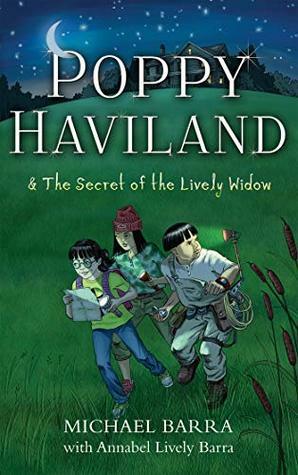 Poppy Haviland & The Secret of the Lively Widow is the first book in a series featuring twelve-year-old aspiring actress Poppy Petunia Haviland and her adventuresome friends. Simply being twelve years old is tough enough, but try being twelve AND the daughter of the world’s most famous movie star. Yeah... exactly. In The Secret of the Lively Widow, Poppy’s family relocate to a small town where the appearance of superstar Holly Haviland takes the community by storm. Even when Poppy discovers a treasure map carefully tucked within their historic lodgings, she can’t seem to capture anyone’s attention for very long. She recruits her best friend, Annie Kim, and her strange new neighbour Rick Reyes (a rapper and inventor), to explore the history of the map and of their new community. The trio learns that the town that they are living in was a key terminal on the Underground Railroad – the illegal passageway to freedom that played a major role in the termination of slavery in America – and that Poppy’s family played an important role in that history. Will their efforts result in the discovery of a long-rumoured historical treasure, or will someone else get to it first? I do enjoy a middle grade story every once in a while so when the publisher offered to send me a copy of this one in exchange for review I happily accepted. I found this story really enjoyable and I think it will be loved by lots of young readers. In this story we follow Poppy, our young main character and daughter to a movie star. She feels like shes always living in her mother's shadow and shes determined to make a name for herself. The family relocate out of the city to a family farm and from there Poppy learns about her family history and some hidden secrets. I find this sort of mystery and adventure story line is quite common amongst middle grade stories but it is one that I really enjoy. I think this one was done quite well, we jumped straight into the story with little faff and follow it on from there. This was a super quick read, I managed to read most of it in one evening. The writing was simple and easy to read but I wouldn't say it was necessarily childlike. There was enough to it to appeal to older readers and well as being able to be enjoyed by younger readers. There was also some humour scattered throughout the story which I enjoyed. I also liked the characters. Being a middle grade means that our main characters are younger and I often struggle to connect with these characters due to their age, but that doesn't mean I don't enjoy reading about them. I felt a bit sorry for Poppy, constantly having to live in the shadow of her mother but she was very determined to make a name for herself in her own way. I both Poppy and our two side characters were super fun however, they were quite reckless and did some things that I wouldn't want to encourage other young readers too do. I liked that there were adults throughout this book and they did support our young characters to some extent however, I there were times when they did things that I didn't agree with, for example laughing at Poppy when she got her glasses. Overall I quite enjoyed this one. It was a super fun middle grade adventure story which was super quick and easy to read. I would definitely recommend picking it up either for yourself or for any younger readers in your lives. I was gifted a copy of this one from the author in exchange for an honest review. 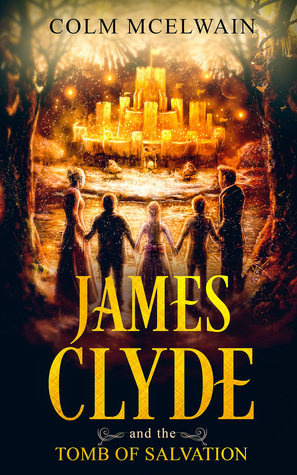 Picking up shortly after the events of the first adventure, James Clyde returns with his best friends Ben and Mary Forester to his grandfather’s house in search of a map that will lead them to the Tomb of Salvation – an ancient shrine, where the three diamonds of Orchestra must be returned with the promise of immortality. James and his company of adventurers journey through treacherous lands fraught with danger and meet many obstacles along the way – dangerous assassins on board a train, the dastardly Gilbert, also known as the ‘man in black’, and even an unlikely encounter with a fabled lake monster. 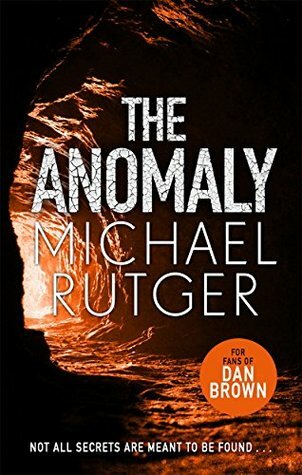 If they reach the Tomb of Salvation, James knows they will then face their greatest threat, for the tomb is said to be home to a terrifying demon – an entity that has shown no mercy to anyone who has ever entered its lair. The second novel in the James Clyde series will lead you on an action-packed adventure full of mystery, suspense, danger, hope – and, yes, salvation. This is the second book in the James Clyde series, which I received from the author in exchange for review. This series is a fun middle grade fantasy series which follows a group of children as they go off on an epic adventure to save the land from an evil queen. The author did say to me when he offered me these books that this one could be read as a standalone however, I would really recommend reading the first in the series beforehand otherwise I think you might struggle to understand the story. My thoughts about this one are fairly similar to the first in the series. We pick up the story right where the first one left off and continue on the fun adventure filled with magic and mystery. The writing continues to be quite simple and easy to read but as before this didn't stop me from enjoying the story. The plot continued to intrigue me and at times I was really compelled to keep reading as I was keen to find out what happened next. The characters continued to be just as fun. The children continued to support each other and there was a lot of fun and humorous moments amongst this group. The children continued to feel and act like children, rather then all of a sudden becoming older than their years. They laughed, joked and were scared throughout this book but we also saw them step up at times and begin to think like adults. This character development was a nice touch. I also liked how the children weren't left to their own devices and were supported but the adults in this world upon their quest however, the adults didn't overshadow the children. I also really liked learning a bit more about Queen Abigail and where she had come from in this book. The ending of this book wrapped up quite nicely. We had a great build up to the climax and then there was quite a nice 'happily ever after' ending. However, I do think it wrapped up quite quickly and I would have maybe liked a little bit more conflict before the resolution. Based on this ending I think this is the final book in the series however, the author has left it open enough for the group to go off on another adventure and I think this would be really fun to see. Overall I enjoyed this one just as much as the first one. I think its a really fun middle grade fantasy series that I can see lots of children really enjoying. If you have any budding young readers amongst you I would recommend picking these books up. 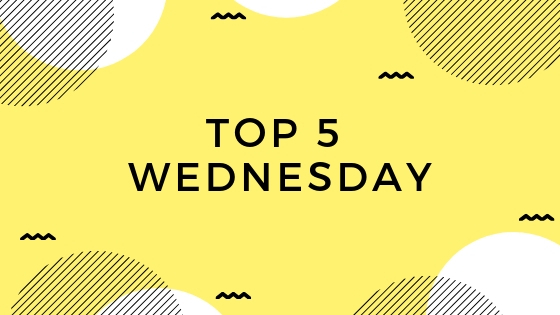 Top 5 Wednesday is a weekly meme where you discuss your 'top 5' in a variety of different topics on, guess what, a Wednesday. Full list of topics and more information can be found here on the Goodreads group. This weeks topic is a crossover topic from the Booktube SFF Awards and we will be discussing our favourite SFF Booktubers. Bookbloggers and IG's are allowed too but they have to focus mainly on SFF books. I love watching Booktube, and SFF is my favourite genre so I have a lot of Booktubers who read this genre in my subscription list, Since I've been blogging and using Twitter I have also discovered some great SFF bloggers so I'm going to be sharing some of my favourites with you here. I will try and link to any blogs or Booktube channels that I mention. Thoughts on Tomes was one of the first SFF Bookstubers I started watching and I still really enjoy her videos. She has a really concise but detailed way of discussing books which I really like. Shes also the founder of the Top 5 Wednesday meme so that's great too. I've only recently discovered Becca's channel and I really enjoy listening to her discuss the books she reads, I especially like her vlogs. I also like that she reads a lot of back list stuff and not just the popular new releases. I also love her Bookopoly TBR videos, they're very unique. Justine is another new Booktuber that I've discovered recently. Again I like how detailed her videos are and I often find my TBR pile grows after watching her videos. Holly mainly reads adult SFF and this is something that I'm getting into more and more so I love getting some recommendations. She also has a great sense of humour that comes across in her videos. I discovered this blog via the blogger support Facebook group that I'm part off and I really enjoy reading their posts. They also have a fantastic Facebook group that I'm part of and they hold lots of fun read-a-longs, author interviews and reading challenges. So these are my top 5 SFF Booktubers and Bloggers at the moment. I'd love to hear if you have any recommendations of great Booktubers and Bloggers that read a lot of SFF as I'm always looking for more. I don't often follow TBRs anymore but when I do they seem to be quite unrealistic, oops! This month I'm taking part in the O.W.Ls Magical Readathon, you can see more information about this readathon and see my TBR here, and I thought I would check in with you now that we are half way through the month and let you know how I'm getting on. So far this month I have read 4 books and I'm nearly done with my 5th and managed to gain O.W.Ls in Potions, Charms, Arithmancy, Care of Magical Creatures and I'm working on Muggle Studies. Here are the books I've read so far this month. O.W.Ls Prompt - Muggle Studies - Read a contemporary (contemporary isn't really my genre so I'm counting this one as it's a Thriller and set in the present day). So two weeks into the month and I've nearly read 5 books which is fantastic for me. I hope that I can keep this momentum up for the rest of the month. Are you taking part in the O.W.Ls? I'd love to hear about what you've been reading. This was the March pick for the Lost Between the Covers book club and one that I have been wanting to pick up for a while after reading and loving Jay Kristoff's Iluminae series. I've also really been in the mood to get stuck into some more adult fantasy so this was the perfect opportunity. I absolutely adored this book. I thought it was fantastic, the writing, the characters and the plot were all so detailed and well written I was completely hooked. Because I had heard from others who have read this that it can be quite dense and complicated I planned to read it slowly and space it out over the month but I couldn't do it. I just found myself completely immersed in this story. The writing can be quite dense and I can see why people may have found the beginning a bit confusing but I didn't. I enjoyed the way it was written, where we follow Mia both when she was younger and in the present day. The world building was great. I found the world to be really complex and I know there is still so much more left to discover in the next books. I loved all of the characters too but I particularly loved Mia, she was fierce, determined and independent but she still showed us that she was able to care about and be loyal to others, even though this shouldn't of been in her nature. I think she was such a complex character and she really came into herself and showed us just what she was capable off in the last quarter of this book. I liked that there wasn't really a romance in the book too as romance isn't my favourite thing to read about but Jay Kristoff was still able to demonstrate chemistry between Mia and Tric. Also, Jay Kristoff is harsh! He's not afraid and all I'm going to say is people will die! Overall I thought this was a fantastic book. I loved every dark, gritty moment of this story and I cannot wait to continue with this series. I was gifted an eARC of this one from the publisher via NetGalley in exchange for an honest review. I was kind enough to be offered a copy of this one from the publisher in exchange for review. I'd never heard of it before I received the email and I was really intrigued by the premise. 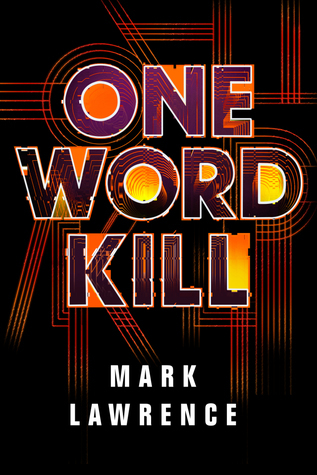 It's a super fun YA sci-fi book that I really enjoyed. In this book we follow Lucy as she tries to lead a 'normal' teenage life after being home schooled and quite sheltered by her parents most of her life but, of course in true YA fashion, this isn't going to be the case. The writing in this one was quite easy to read and that therefore made it quite a quick read. There was lots of mystery and intrigue too and some twists and turns throughout the plot that kept me interested throughout the story. I did manage to work out one of the twists that happened towards the end before it happened but that didn't hinder my enjoyment of the story. 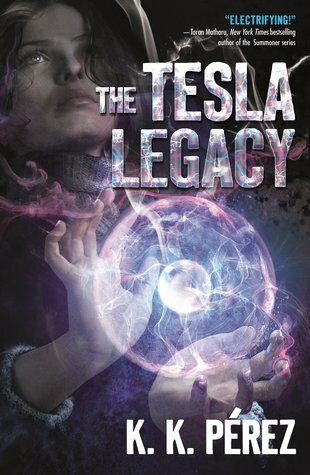 I liked the focus on science in this book to especially as our main character is a female. I really liked Lucy as a main character. She was smart and independent. She wanted to live a normal life and was determined to not let her illness get in her way. Lucy has epilepsy, so we have this representation throughout the book too which was nice. Lucy also wasn't reckless as often many YA main characters are. She always looked for the facts and used science to try and find a reasonable explanation for everything that was happening. She was also fiercely loyal to her friends and I really enjoy strong female friendships in books. I wasn't a massive fan of Lucy's romance with Cole. It was your generic YA romance, it was quite flat and a bit boring. I did enjoy Lucy's relationship with Ravi though and it was nice to watch that develop. Overall I thought this was a really enjoyable story. I liked the premise and the science focus as well as Lucy as a character. There was a lot of mystery in this book and I definitely still have some unanswered questions and things I want to find out more about so I really hope there's going to be a sequel as I will definitely be picking it up. Gemma has read 11 books toward her goal of 50 books. Gemma has read 0 books toward her goal of 75 books. Gemma has read 46 books toward her goal of 50 books.